Our friend Bethann is back and opening an assortment of wine from around the world including Burgundy, the Rhône Valley, Catalonia, and Vinho Verde! 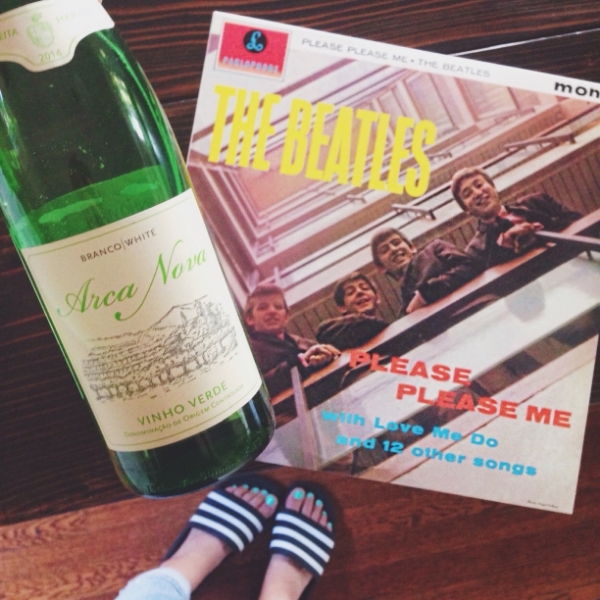 It's never too cold for some Vinho Verde! As the youngest child born into a winemaking family, whose family's hectares are located in the Southernmost tip of Beaujolais, Xavier Benier was positive that he was destined to work in wine. After attending oenology school in Beaune, to which, when asked to sum up his whole schooling experience he answered, "I lost time," Xavier worked as a negociant (a wine merchant who buys from growers and sells the wines under their own label) for seven years, all the while frustrated at not discovering wines he was interested in. Fate turned his life around in 2001 when his family's métayer (a type of shareholder) retired and Xavier immediately jumped in to take over his family's vineyards. Xavier finally found the types of wines he was passionate about on the Benier family's 16.5 hectares after he switched the vineyard over to organic methods! His Gamay is grown on vines that are over 100 years old and grown on Schist soil. After aging in neutral oak this wine has a rich but light mouthfeel that is full of black cherry, violet, and nutmeg notes. Owner Marc Pichon's Grenache is filled with such warmth in its elegant notes of baking spices and romantic cranberry fruit that it isn't a surprise that the vineyards origins are rooted in love and harmony. When Marc purchased the vineyard, it was named Domaine le Murmurium, which is derived from Latin and means 'the buzzing song of bees.' The winery is now called Anne Pichon, in honor of Marc's wife. This 21-hectare vineyard is located in the Côte de Beaune in the small village of Mormorion. Marc uses all organic practices in his vineyards, from hand harvesting to low yields. Typically, Grenache is used as a blending grape, but after tying this roguish wine, you'll wonder why more people aren't showing off Grenache's full power! The Foraster family has been growing grapes for over 150 years but only started producing wine themselves in 1998; Josep Foraster took the helm of his family's property and created a small winery that only uses organic practices. Today, his nephew Ricard Sebastia, runs the property. Collita, a Tempranillo and Cabernet Sauvignon blend is grown in Conca de Barbera, a region that is unique in Catalonia because it has access to the Mediterranean Sea. This blend was grown on twenty-year-old vines that are nestled in rich alluvial soil with clay and sand; it was then fermented in stainless-steel vats and aged for three months in bottle. It's juicy and filled with blackberry, balsam, and licorice notes.